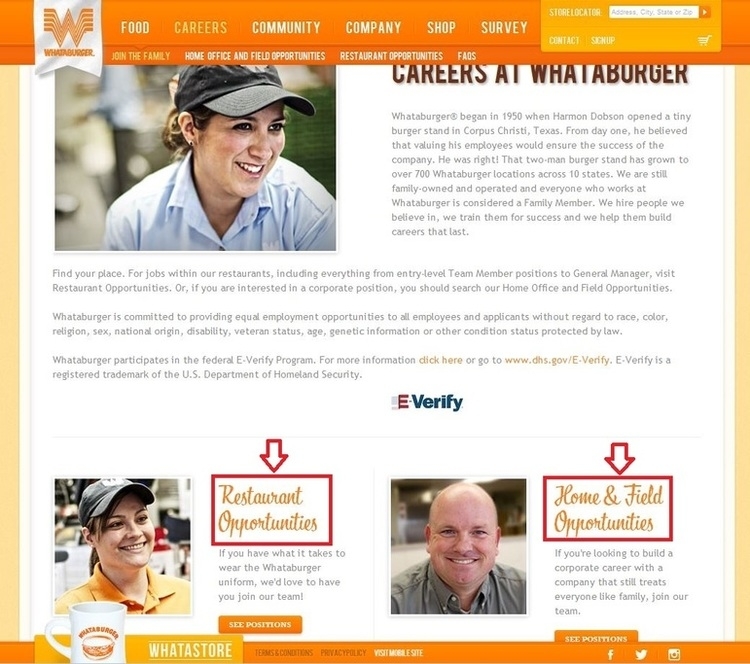 To apply for jobs at Whataburger, you need to learn about the company information, working at Whataburger, as well as the employee benefits at its official careers site. There are many available restaurant opportunities and home & field opportunities for you to challenge. You can choose a position as a team member, team leader, manager, general manager and above store. By clicking on the figure, you will see a brief introduction of this position, including be a part of the family, responsibilities and rewards. 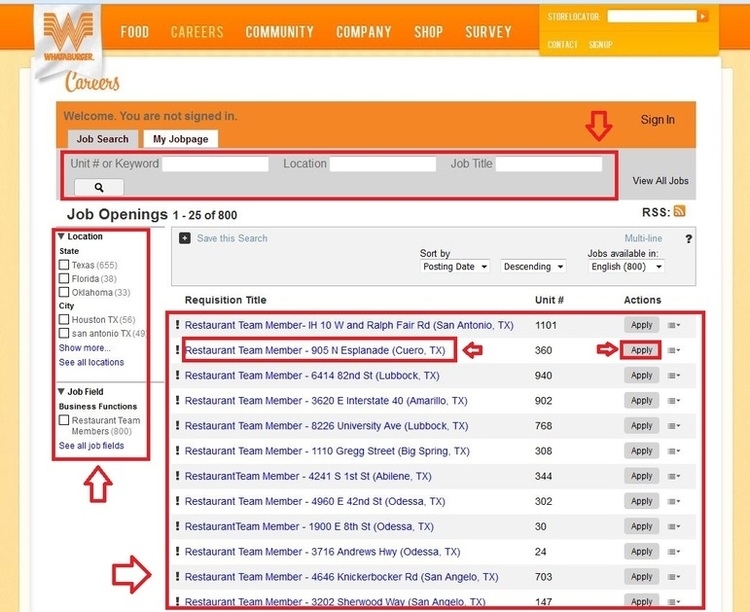 Click “SEE AVAILABLE TEAM MEMBER POSITIONS” to search for jobs. Enter the job search page to find your job of interests by entering the keyword, location and job title, click on the search button and view the job listings presented right on this page. You can click on the job title of the position to know more information, or click on the apply button directly to apply for the job. Read the job details like the job description, job duties, and required qualifications, etc. 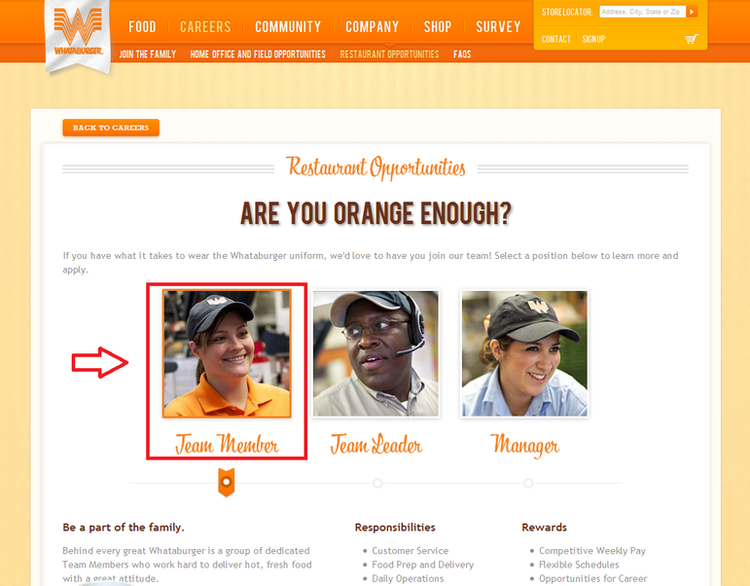 carefully, and click on the “Apply Online” button to start your application for jobs at Whataburger. 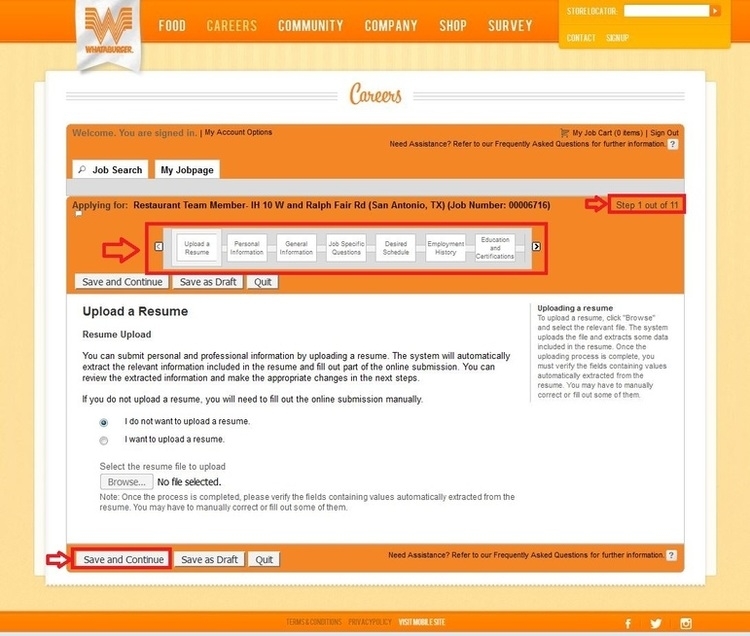 You can return to the home page if you want to find another position by clicking on the link upon the job description. 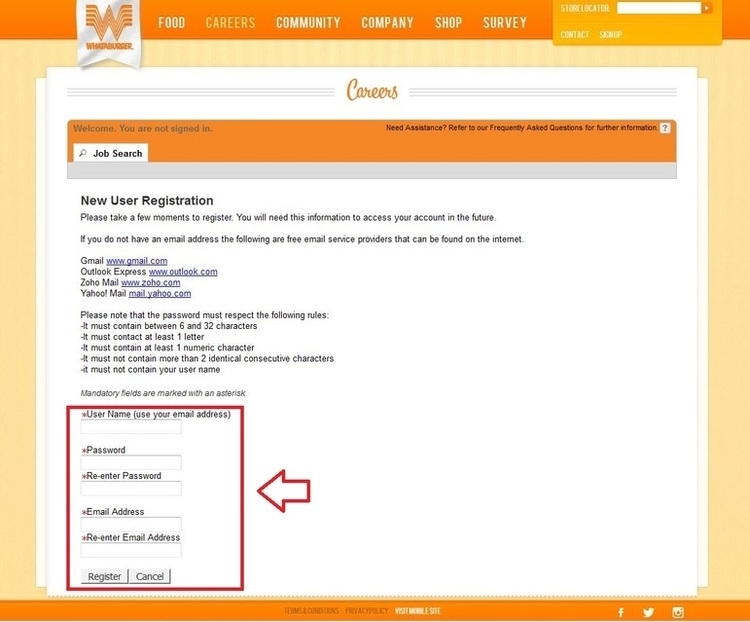 A Whataburger account will allow you to access your application in the future, so you’d better take a few minutes to register with a valid email address and strong passwords which must be between 6 and 32 characters. You are required to complete all of the 11 steps for your applying Whataburger jobs. The main steps are as follows: upload your resume and attachments, fill in your personal information, general information, employment history, education and certifications, answer job specific questions, and provide your desired schedule, etc. 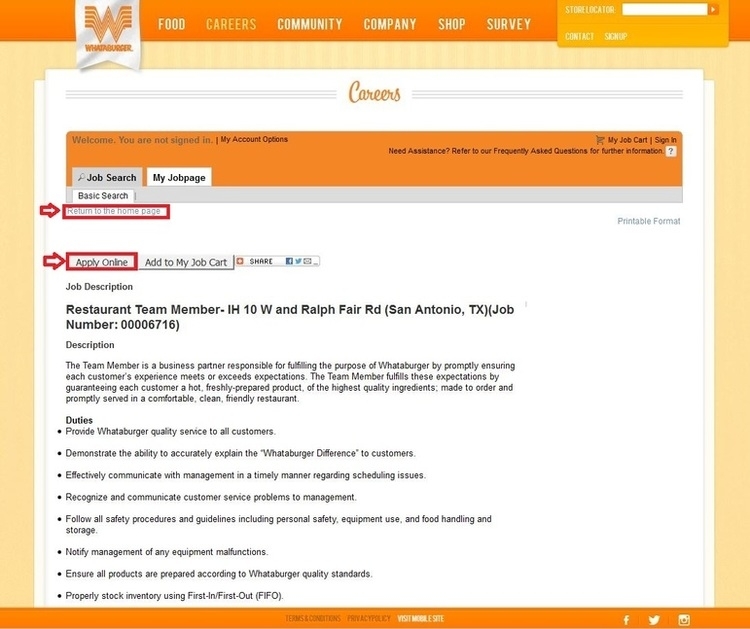 Click whataburger.com/careers to apply for Whataburger jobs online.